All of the decisions involved in planning a wedding can get overwhelming. Some of the details, like whether there are enough trash cans placed around the room, are necessary but not much fun. When it comes to picking out items like gifts for bridesmaids, you can actually enjoy spending your time on those decisions. The practical bride will want to buy bridesmaid gifts that are not only pretty, but will be used often as a memento of your special day. Things that can be used on the wedding day really come in handy, plus if you give matching items to everyone, it can make for some cute photo opportunities! There are lot of great gifts to give to your bridesmaids that can be used the morning of the wedding while you are all getting ready together. 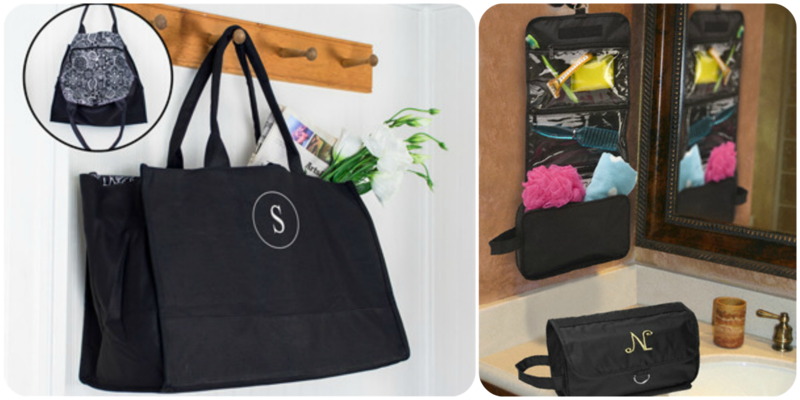 First of all, a great big tote for carrying all of the getting-ready essentials is useful for carrying all kinds of stuff later on. A cute monogrammed makeup bag or toiletry bag is also a wonderful present that will get lots of use for a long time. 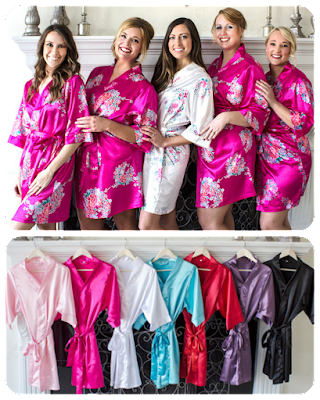 If the photographer is taking a few shots of you and the girls getting ready, matching robes will look absolutely adorable in those photos. You will each need something to wear while you get your hair and makeup done that won't have to be pulled over your head, ruining all that pretty prep. WhereBridesGo.com even offers some great wedding flip-flops for the entire wedding party. No need to put on those heels any sooner than you have to! These will also be perfect for that late-night reception when your feet are tired from tons of dancing. We mentioned photographer shots, but occasionally a different kind of "shot" is taken before heading down the aisle. Our tequila shooter set is the perfect bridesmaid gift for a group of margarita-loving gals, or maybe a destination wedding in Mexico. If it's too early for that, how about matching travel tumblers with a little "bling." Your morning Starbucks will look as spectacular as it tastes, and every time you have your morning cup of coffee, you and the gals can think back to this day. If you have some wine-loving bridesmaids, a special tote for traveling with a couple of her favorite bottles is a fun gift. 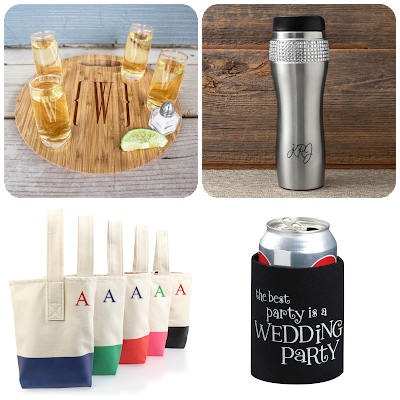 A cup cozy is a very popular favor to give away to all of the guests at a wedding, but add a little extra touch by getting special ones for the wedding party to walk around with. After all, they deserve to stand out. 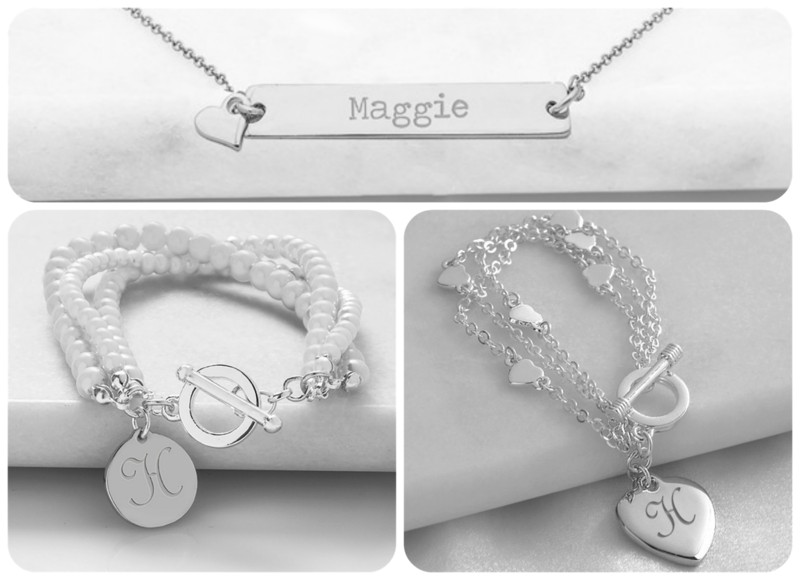 Last but not least, jewelry is always a much-appreciated bridesmaid gift, especially if you want everyone to wear something that matches. The whole group can feel like they are part of a special club every time that they wear the special bracelet or necklace that they wore on your wedding day. 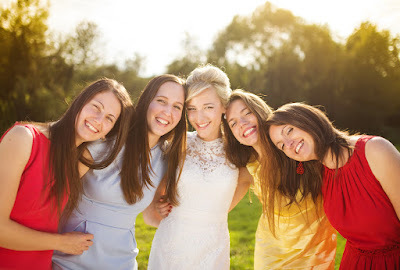 The best way to choose gifts for your bridesmaids is to think about what would be a wonderful souvenir of this incredible day you are sharing together. An item that can actually be used on the wedding day is a great place to start coming up with creative ideas. If you need more inspiration, visit WhereBridesGo.com and look through our online catalog full of bridesmaids gifts, groomsmen gifts, wedding decorations, wedding planning items, and so much more. After all, it is "Where brides go for what brides love!"